Our speaker on Tuesday (Aug 9) will be Dr. Christopher Bolling. Christopher Bolling, MD is a pediatrician in Northern Kentucky and is one of the founding members of Pediatric Associates, the largest pediatric practice in the state of Kentucky. In addition to caring for many patients in his practice, Chris is also very involved in the prevention and treatment of pediatric obesity on the local, state and national level. In Chris' words, "the issues facing obese youth and GLBT youth are often very similar. They are issues of health, happiness and acceptance." Cincinnati and many other organizations. They have also been involved in many faith based and community based charities as board members and supporters. They both believe strongly in giving back to Cincinnati, a city they love and live in by choice. As usual, we meet at Mt. Auburn Presbyterian Church, 103 Wm. Howard Taft, at 7 pm for a social period with the meeting itself at 7:30. Allison Marcotte, one of the recipients of a 2011 PFLAG Cincinnati Scholarship, also won a PFLAG National scholarship. She is the recipient of a PFLAG-Gays, Lesbians, and Allies at Dow (GLAD) Scholarship. See http://community.pflag.org/page.aspx?pid=1318 for the announcement by PFLAG National. We congratulate Allison on this well deserved award. Our next big event is on August 20 & 21 when we will share a booth with GLSEN at the Black Family Reunion, a huge annual festival at Sawyer Point and Yeatman's Cove on the Ohio River. We welcome volunteers to help staff the PFLAG booth. See http://www.midwestbfrc.com/ for more about the festival. Also mark your calendars for the *Greater Cincinnati GLBTQ Youth Summit! * to be held at Northern Kentucky University on September 24. See http://www.cincyyouthsummit.org/ for more on this event. 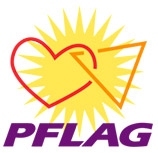 Thanks for your continued support of PFLAG Cincinnati.